The Supervisor Portal system lets management complete these incident reports, open an investigation and seamlessly generate regulatory reports to reduce the time and paperwork involved in safety compliance and improvement. 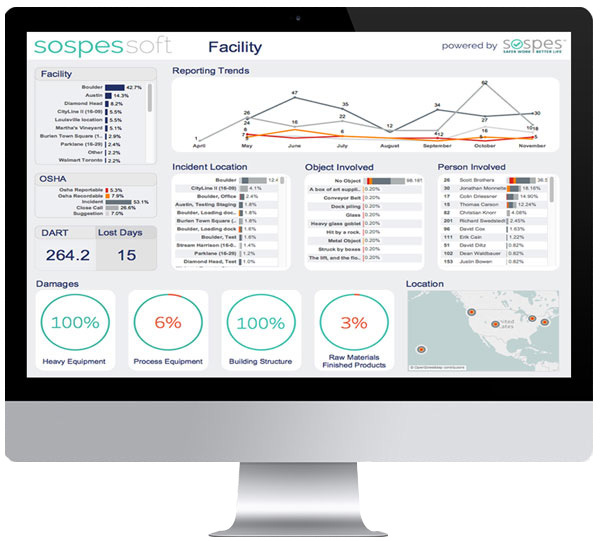 While Sospes' unique mobile application is the heart of the system, its back end reporting is where efficiency is created. Encourages people to report unsafe activities and practices - anonymously if necessary. Anonymous reporting removes barriers for employees who want to provide you with needed safety information without fear of consequences.